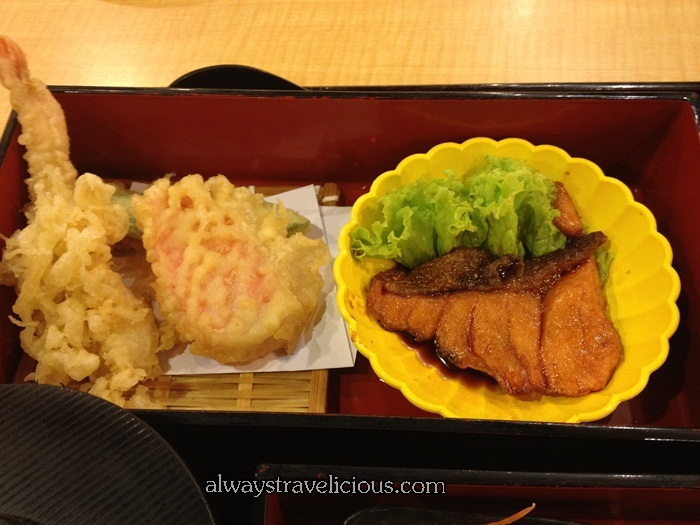 Ichiban Boshi Japanese Restaurant @ Publika Mall, Solaris Dutamas Malaysia - Always Travelicious ! We Gave Ichiban Boshi a try while we were hanging out in Publika Mall. While we were waiting for our food to come, we took 2 plates from the sushi conveyor belt. I don’t know what got over me but I actually took a plate of sashimi (RM6) which had sort of an “off” color. The taste wasn’t off or anything but it was slightly warmer than I would have liked it. The jelly fish salad was a little less crunchy than it should be but all the right flavors were there. The plates have reasonable pricing (RM 2, RM4, RM6). Gary took the Ichiban Wazen (RM34.90) which had a good spread of items of tempura prawn, salmon sashimi, unagi, salmon teriyaki and side dishes. For those that like a sampler of different kinds of food, the set provides a bit of everything in small portions. The food preparation was rather average though. The salmon sashimi and unagi were standard items, while the tempura prawn had too much batter and was a bit oily. I had the sashimi and sushi wazen (RM39.90). It was also an average set with not much to rave about with the standard items like tuna, salmon, unagi and tako. While the tuna tasted ok, the color was sort of “off” too, I really can’t describe it as a beautiful intense crimson color. Both sets came with side dishes of chawan mushi, miso soup and tofu. 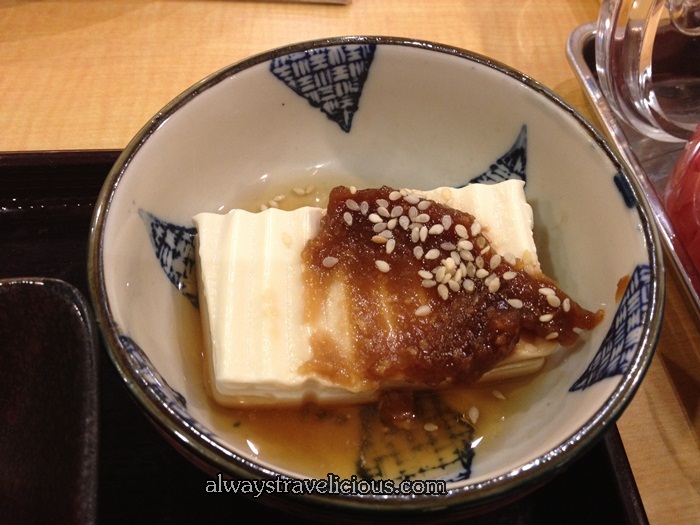 The tofu was surprisingly nice – smooth and silken. The interior is warm, gleaming and accented by simple elements of calligraphy, paper lanterns and big wine barrels. Three kinds of seating are available, the standard tables with cushioned sofa, the lower tables with a sunken floor as seats and a casual seating area outside, along the sidewalk. Here is more of Ichiban Boshi’s menu. Overall, food at Ichiban Boshi Publika is so-so. Food is ordinary and not as refine. While there is room for improvement for the food, the dining atmosphere is warm and welcoming. Price wise, the food seemed to be priced at lower than average at first glance, but the key ingredients like the sashimi is relatively thinner. I guess you get what you pay for. I expected more from Ichiban Boshi considering that it has a number of outlets in KL. Let’s see how the food at other outlets will turn out. Address: 168 Jalan Buit Bintang, Lot 1.14 Pavilion, 55100 KL. Address: F 01 Level 1, Block D, No. 2 Jalan PJU 5/14 PJU5, Kota Damansara, 47810 PJ. Addres: LG-07 No. 7 Persiaran Setia Dagang, Bandar Setia Alam, Sek U13, 40170 Shah Alam.